My Adventure Team trips from around the globe. I had never heard of the Lofoten Islands until I was approached by an old buddy of mine and former racer Manfred “Mani-Shoot” Stromberg from Germany who was the photographer on this trip with German Enduro racer and photo rider Tobias Woggon. We had never done a trip together before, but my curiosity was sparked when they showed me some photos of this stunning and rugged looking islands above the Arctic Circle in Norway. This place is not very well known amongst mountain bikers , apparently because it’s a backpackers paradise and the hiking trails and terrain are just too steep to ride off-road, especially in the Southern part of the islands, where we were bound for. Sounded interesting enough for me to take a closer look and give it a go. Tobias had been there the previous year, but without a bike – he told me the place was amazing but wasn't sure how rideable these trails would be. It was time again to head back to East Africa to follow up on some of the Wheels 4 Life work we have been doing there in the past years. Our charity has evolved and grown a lot, we now have an infrastructure in place with a team of field volunteers that enables us to run this non-profit organization pure, efficient and effective. Our mission was to meet many of our project leaders from Kenya and Uganda in the field, as well as a lot of our previous bike recipients to monitor first hand the impact the bicycles have had on their lives and give a whole lot more away at the same time, 270 bikes to be precise. We also wanted to learn, about the countries, the people, their needs and character. We are often asked the questions; “Can we make a difference, are we making a difference?” The answer is yes; most definitely we can and are. The MTB Ayiti event was organized this year for the first time with the ultimate goal of developing mountain biking in Haiti through local, microenterprise Haitian businesses. The Haiti Ascent Mountain Bike Stage Race is a cornerstone event – it’s more than just a race. 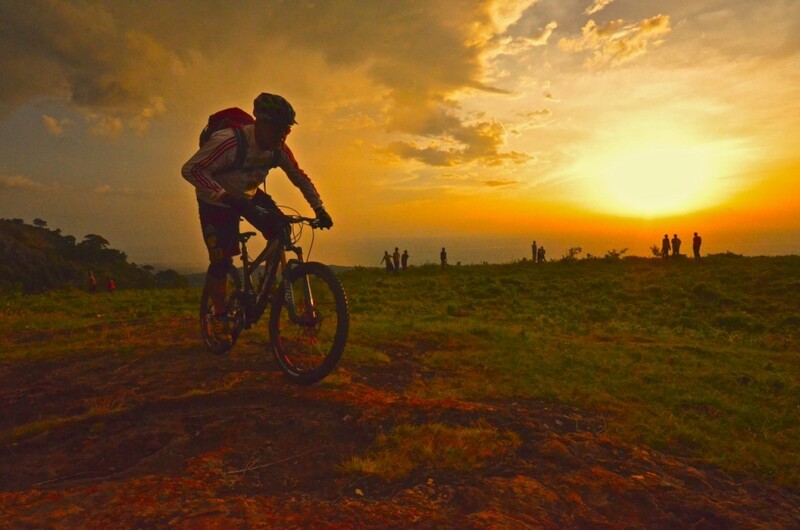 This race will develop a mountain bike ecosystem in Haiti and provide a transforming experience to participants. I was contacted by the organizer in the early planning stages last year. It sounded very promising, even though I’m not a racer anymore and never was into endurance racing – I thought it would make a nice ride to traverse this beautiful but poverty stricken Caribbean Island at my own pace. There was a great opportunity to tie in a Wheels 4 Life charity project and to help develop a local mountain bike infrastructure that could potentially attract mountain biking tourism in the future and help the grim economic situation that country is facing, especially after the devastation earthquake in 2010 that destroyed many cities and killed over 300,000 people. We just completed a cool and exhausting trip to some of the famous Ecuadorian volcanos with Swiss Freerider Alban Aubert and photographer Patrice Schreyer. 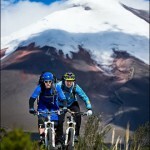 Our goal was to ride each volcano from between 16000 to 17000 ft, about 5000 meters. The idea was to drive as high as we could with a 4×4 vehicle, then hike to the Refugios/ mountain huts, spend the nights at high altitude and then climb a bit further in the morning before descending into the low lands.